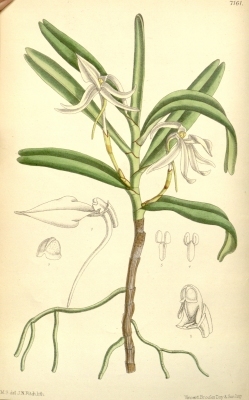 An article on the culinary uses of the orchid Jumellea fragrans. The leaves are used to make a popular tea, popularly used within the plants native range. Africa - Mascarene Islands in the Indian Ocean.